There’s Only One King now available! 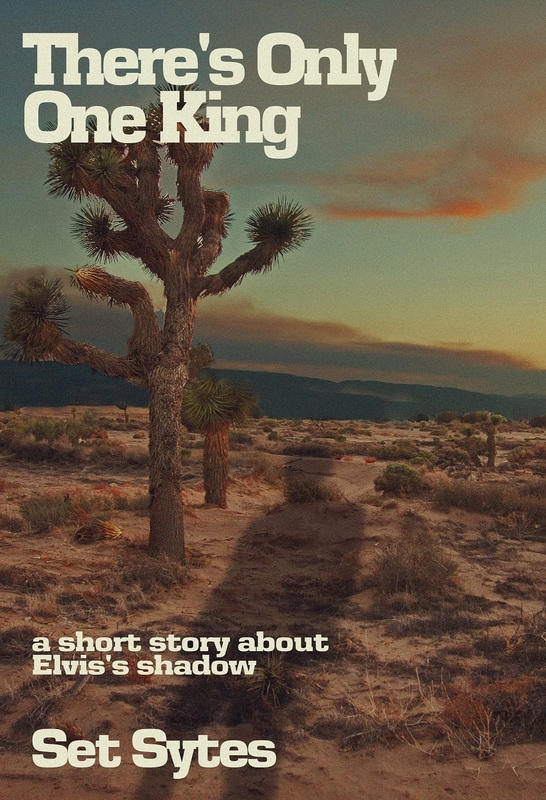 The short odd-fantasy Elvis story There’s Only One King is now available! You can get it for Kindle on Amazon here. It is also FREE for today and tomorrow (27th and 28th), and shares that same free-ness with all my other short stories for those two dates. You can find all these stories on my author page here. They say Elvis is dead, and they’re half-right. When Presley died, there was a power vacuum. And, before anybody could step in and fill the gap, Elvis’s shadow found bodily life. Now Elvis Shadow walks the world, caught between this life and the next. A world containing other half-creatures, other myths and legends. Far off, the lights of Vegas glitter and call to him. I’m in the middle of writing a short story about Elvis. Or, more precisely, Elvis’s shadow, who’s still hanging about, inbetween worlds. It’s pretty different to my previous horror stuff. I hope you like it! Here’s the first bit. The man in black stood in a grotto the Earth had carved out for him. Hanging weeds like tagliatelli leaked over the edge above, forming a braided curtain through which he watched the world’s rain. Black hair, black leather, black boots. He hadn’t changed clothes in a long time, and perhaps never would again. He liked the outfit; it was all ’68, when he had last felt powerful, cool, and in control. No hysteria there, just calm adulation. The outfit was more weathered now, but not much, not since ‘77. It kept well. Water threaded its way down the sky and down the weeds, and dripped to his boots, where it rolled off and finally sunk to the soil. This was a wet, grey place. Even when the sun was out it was shallow and weak. One more time he felt that tremendous pull to go home, and one more time he resisted. The memories hurt. He ran a hand through the lick of black hair and shuffled his feet, feeling the vibrations. He waited for the rain to stop. There were few people to talk to these days. Few people who could talk to him. There was the occasional spirit or half-creature, those preternatural things that lived out of sight and sound of the human plane of knowledge and understanding, but those things he’d never felt much of a bond to, nor they him. He wanted other men, other women. He wanted her. One of the very few living people left around who could communicate with him, and the only person he cared to, was Keith. But Keith hadn’t sent him a letter in some time. Months perhaps, or years. Time was hard to keep up with now, and he wasn’t sure it was even trying. He figured it wasn’t Keith’s fault, losing touch like that. It’s not as though he had an address to post to, and he was always wandering. Over deserts and hills, along highways and the banks of rivers. ‘Return to sender,’ he murmured, to the tune of the rain. ‘Address unknown.’ His voice, not spoken out loud in days, was elastic and low. He could chase up Keith’s current whereabouts himself, and go see him in person, but that might involve computers. No matter. He’d run into Keith eventually no doubt, in this half-life or the next. The rain petered out, and he drew in the freshness of the air, the new-born Earth. He left the grotto and walked out onto moss and rocks. Beneath him was a small pool, and he looked at his reflection. It shivered back at him. His dark eyes, his loose fringe, his high cheekbones and crook of a lip; all that doll-man face cast in perpetual gloom. Even in a cloudless sky would others see that Old World face, shaded under its own cloud. If they could see it at all. The perfect archetype of man at dusk, the man in black, pulled his leather jacket close against him and traipsed through bracken to a figure sitting alone by a pond. The figure turned its head slowly at his approach. To say its skin was stone-like would be clutching at the point, for it was stone, a stone that moved and hid itself with human character. ‘And you are?’ it grumbled, from a wide, flat mouth on a wide, flat head. The troll took the hand, and Elvis shook it. The stone was warmer than the air. ‘I am Amelie,’ she said, lowering her head, on which patterned an array of moss and unlovely flowers. There was no sigh on his part to hold back. As many times as he’d got this, over the decades, he knew full well that one’s life to another was only revealed in miniature, in bite-size parts; that a first meeting should hold only possibility, and enthusiasm, and never rudeness by route of weariness. 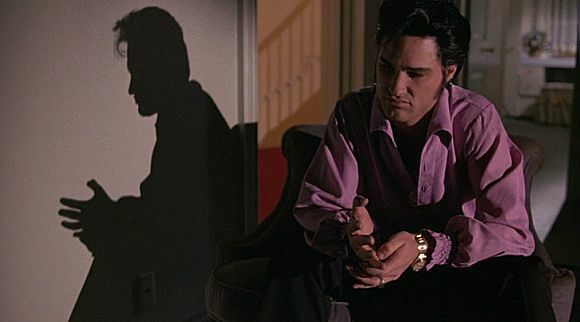 ‘Elvis Shadow,’ he said, smiling. ‘Shadow,’ she repeated. ‘Then you knew him.’ It wasn’t a question. ‘How long have you been here?’ Amelie interrupted him, and he smiled warmly at her. ‘In the half-life,’ she added. ‘Thirty-eight years, or so, ma’am. I don’t know more than years.’ Thirty-eight years, and never returned to that Nevada sun. The troll said nothing for a while, and he sat down next to her and watched the swirl of the foggy water around her bare feet. She didn’t speak of the weakness. What it was like to be apart from their sources of power, from belief. Neither of them did. ‘So,’ she said, breaking the silence. ‘Any regrets?